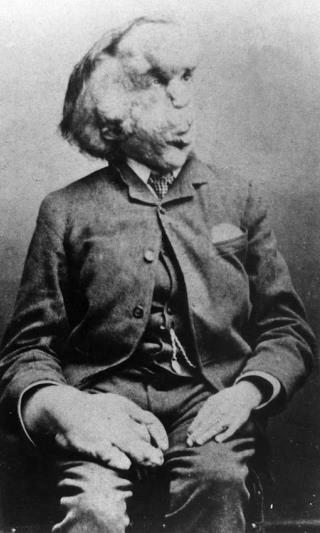 (Newser) – It's been more than a century since Joseph Merrick—the so-called Elephant Man—died at age 27, but researchers still can't definitively explain the huge growths on his body. Though he was nicknamed after the parasitic infection Elephantiasis, other scientists believe he may have suffered from the congenital disorder Proteus syndrome. Now, they're moving closer to an answer: Next month scientists plan to take DNA from his skeleton, housed at the Royal London Hospital, and attempt to sequence his genome, the Independent reports. Sure, waste money on some deformed dead guy since cancer is just a pesky irritant like a bug bite. Dumb asses.